One of the highest prizes for mathematics has been awarded to Prof Karen Uhlenbeck of the University of Texas in Austin, US. Prof Uhlenbeck received the Abel Prize for her work on "minimal surfaces" such as soap bubbles. She is the first woman to win the £530,000 award since it was established in 2002. The award has been made by the Norwegian Academy of Science and Letters in Oslo. The chair of the award committee, Hans Munthe-Kaas, said that her work had "dramatically changed the mathematical landscape". "Her theories have revolutionised our understanding of minimal surfaces, such as more general minimisation problems in higher dimensions," he said. An everyday example of a "minimal surface" is a soap bubble with a fixed volume. They are interesting from a mathematical point of view in that they pull the soap film into the shape of the least surface - a perfect sphere. 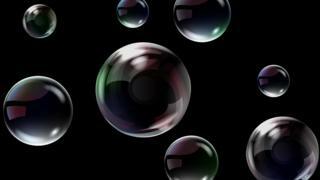 Representing and manipulating soap bubbles mathematically enables researchers to model the behaviour of physical phenomena, such as electrical fields. Prof Uhlenbeck's maths has given theoretical physicists the tools with which to tackle some of their greatest puzzles, such as the behaviour of sub-atomic particles and the unification of electromagnetism and nuclear forces. As well as her ground breaking work, Prof Uhlenbeck has been a role model in her field, according to Prof Jim Al-Khalili, a physicist at Surrey University and broadcaster. "Young mathematicians not only know of her work, but they also know how hard she has worked to try and promote maths and encourage young women to get into the field," he told BBC News. Prof Uhlenbeck wanted to be a scientist when she was a young girl, but she became drawn to mathematics when she had started her degree at the University of Michigan.